This is our Peony series named because the flower resembles the colorful flower of spring with each little petal handpainted in molten glass. 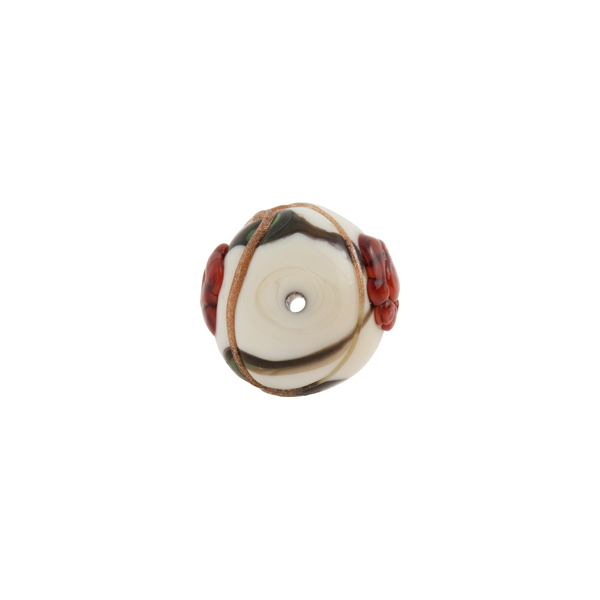 Swirls of a deep green and aventurina encircle the bead. The size is approximately 10mm with a 1mm hole through the center. 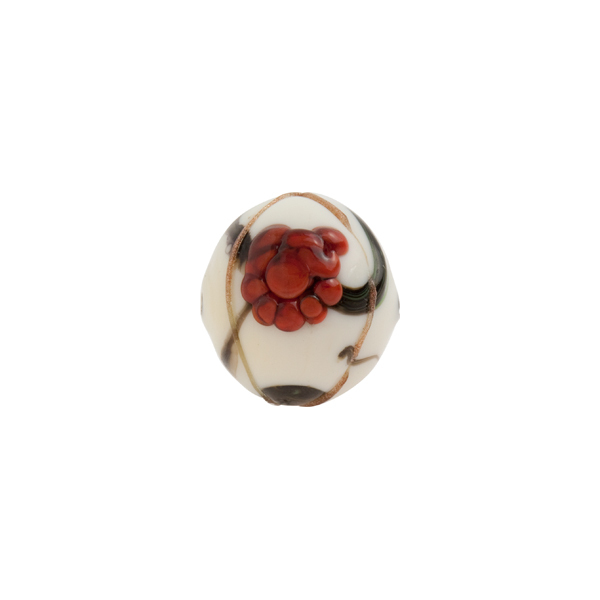 The color is a base of white Murano Glass with a flower of red. These make great Venetian earrings.